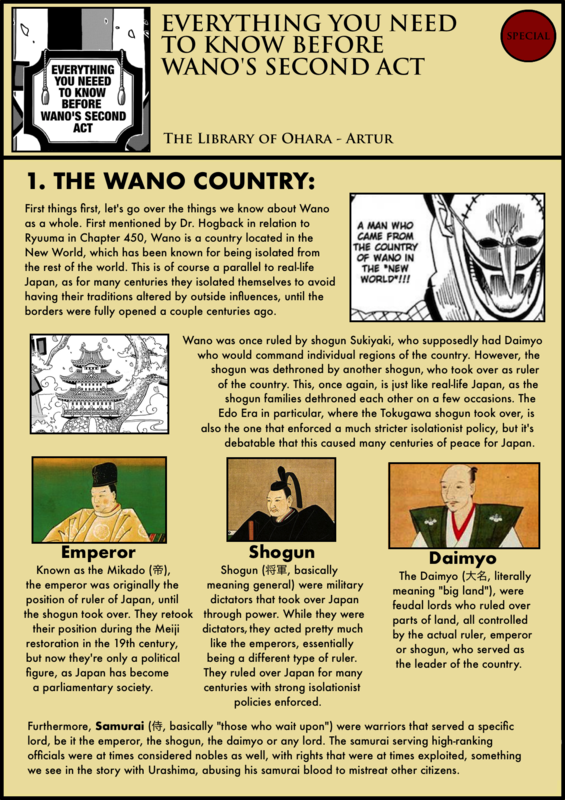 Originally, I was hoping to make a “Everything you need to know before the Wano Arc”, essentially a big summary of all the important things to know about the arc before starting it, just like I did with other arcs. 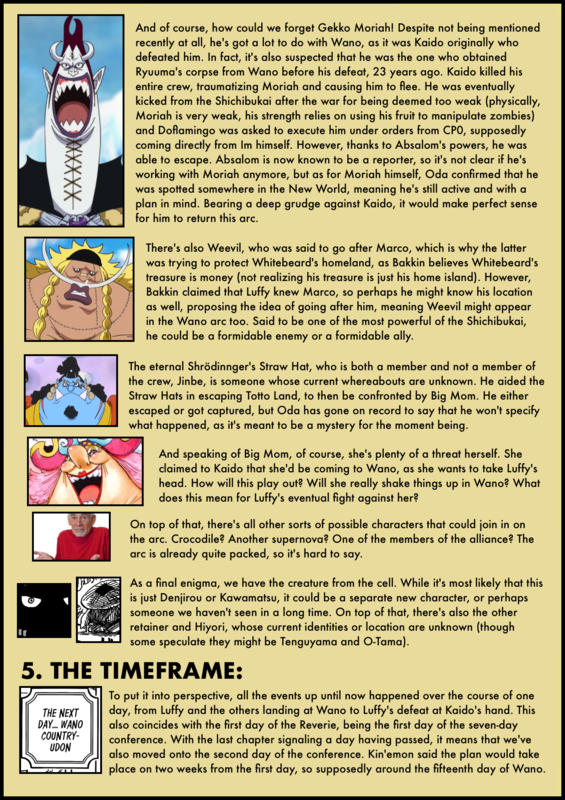 However, with Wano coming out of nowhere during the Reverie, that wasn’t really possible and the idea went down the drain. I’m not sure there is a Mink mole. From what I can tell, none of the people we saw from Zou have the selfish streak to betray their own homeland. Since Neko and Inu were at Wano decades ago, I wouldn’t be surprised if either of them lost a fingernail just before they escaped, which the Beasts Pirates used to make a Vivre Card to their present whereabouts. I don’t know, I just don’t want Milky, Wanda, or Tristan among other Minks to turn on their people. Nice. I’m hyped. By the way, why nobody points out that the palace on top of the tree in Wano looks exactly like an elephant with a city in its back? Connecting that plus Momo commanding Zunisha is child’s play. @Bloodkills: Ashura Doji and Boy Ashura are the same thing. “Doji”/”Douji” translates to “boy” or “kid”. Shutenmaru is Ashura Doji/Boy Ashura. The Boy Ashura translation is just a more literal translation by them. 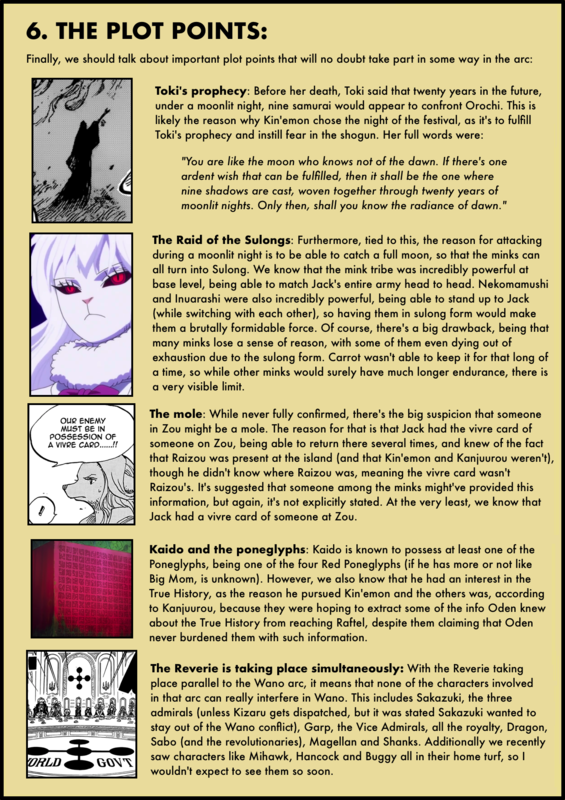 Does anyone feels that there is something more to “Dawn”, in Toki’s prophecy than the usual meaning? 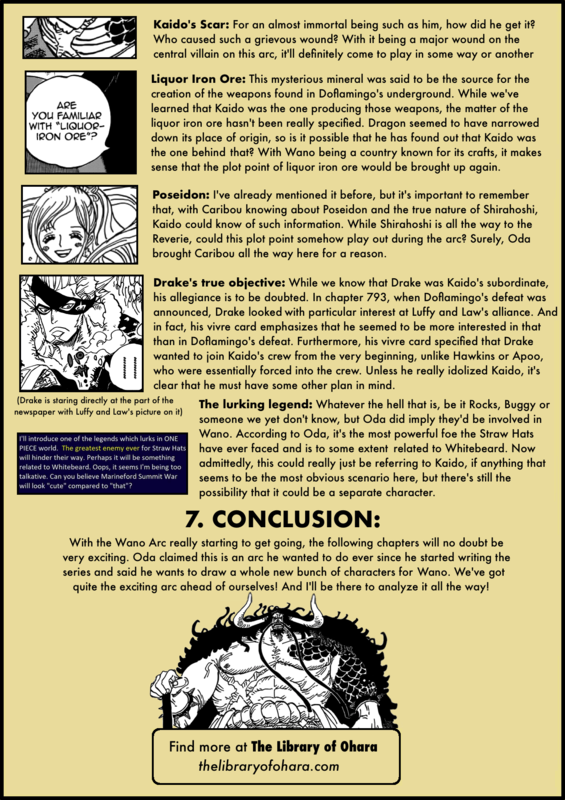 Romance Dawn was the very first name of the series, and Daw is the name of Luffy’s childhood, and maybe it is connected to the “D” legend? 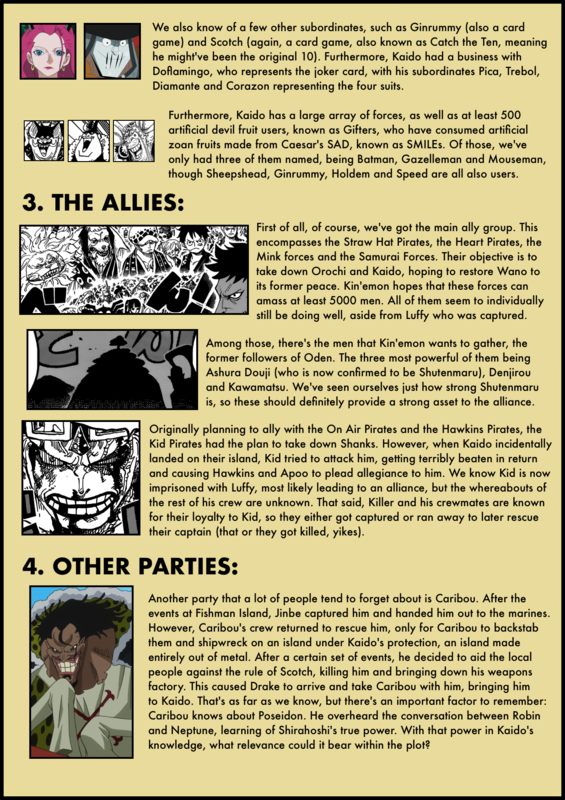 Just like teking101 referenced in one of the last chapters reviews, it’s possible that the straw hat fleet will be on their way to wano. 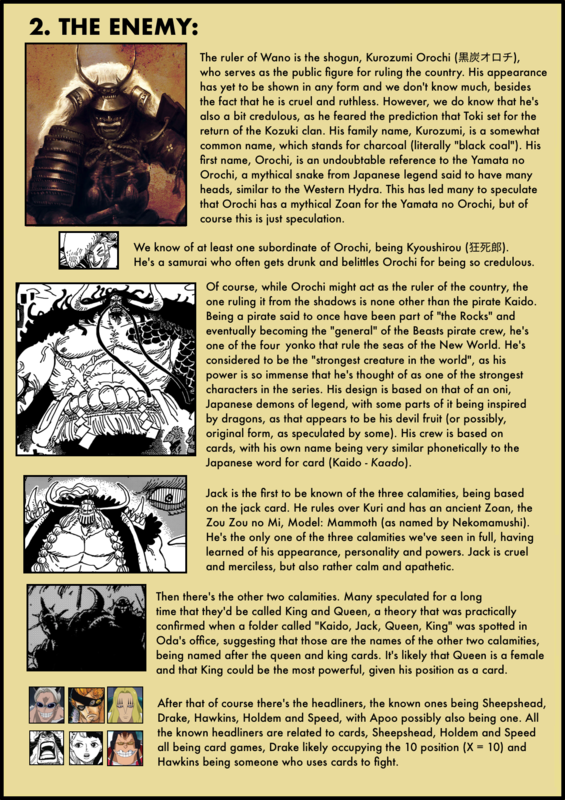 Since they have luffy’s vivre card, and luffy was almost dead after being knocked out by kaidou, his vivre card would react in the same way ace’s vivre card reacted when he was at impel down.